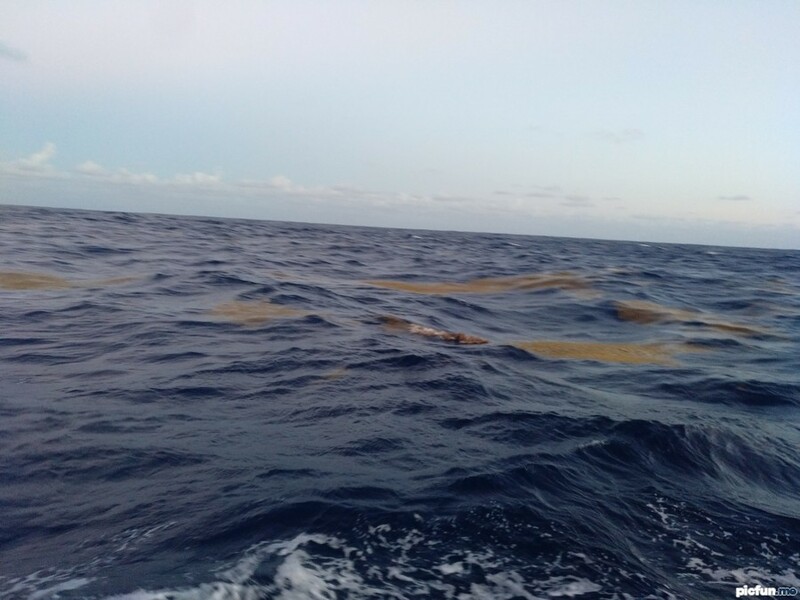 It was third morning after leaving Cape Verde towards Barbados and we still haven't caught any fish. I decided to check the trolling line (25 meters of 2mm line and 10 meters of 1mm line) with two octupus lures on double hook. On the way pulling in I noticed a fish jumping over water like a rabbit! Once... Twice... Trice... It was heading straight to the lure and we got the first fish! 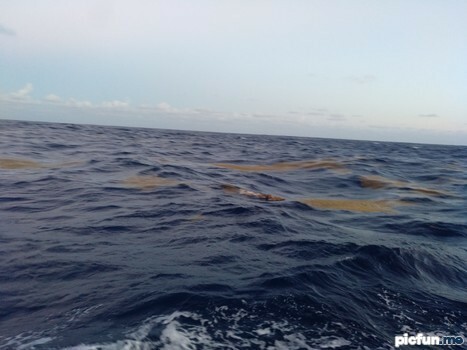 After that the was silence for next 5 days because small islands of sea weed have started. 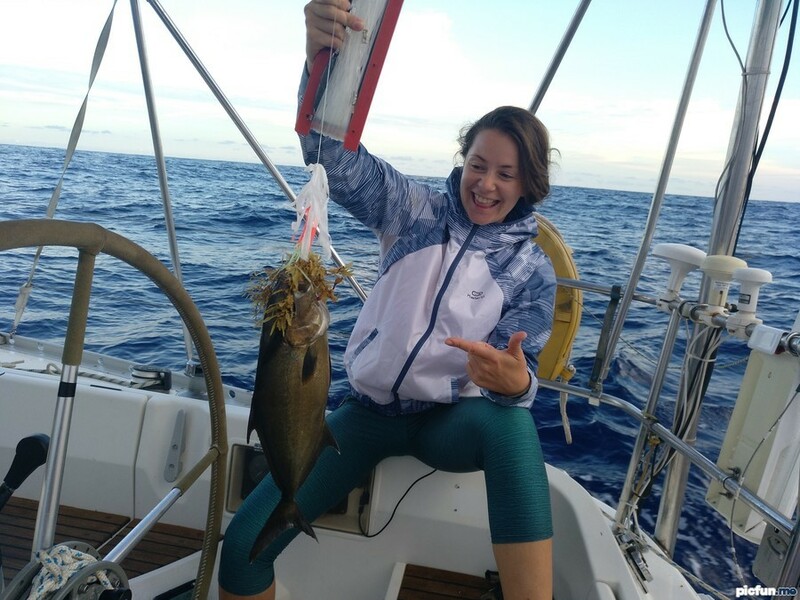 But after the next 8 days of sailing while pulling in a huge amount of weed she yelled - "I think there is a fish as well!" The same day another mahi-mahi beauty got picked up. And with all this we have a fillet master! It was another 5 days without fish and then there was something scary - barracuda. 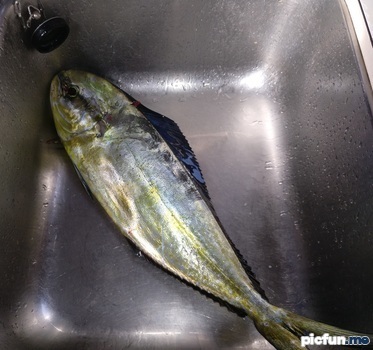 Scary because in some northen islands of the Caribbean it seems to be poisonous. So I had to cook it myself and to try it before Aurelija decided to have a bite after a couple of days. The last one came in when we saw the land. 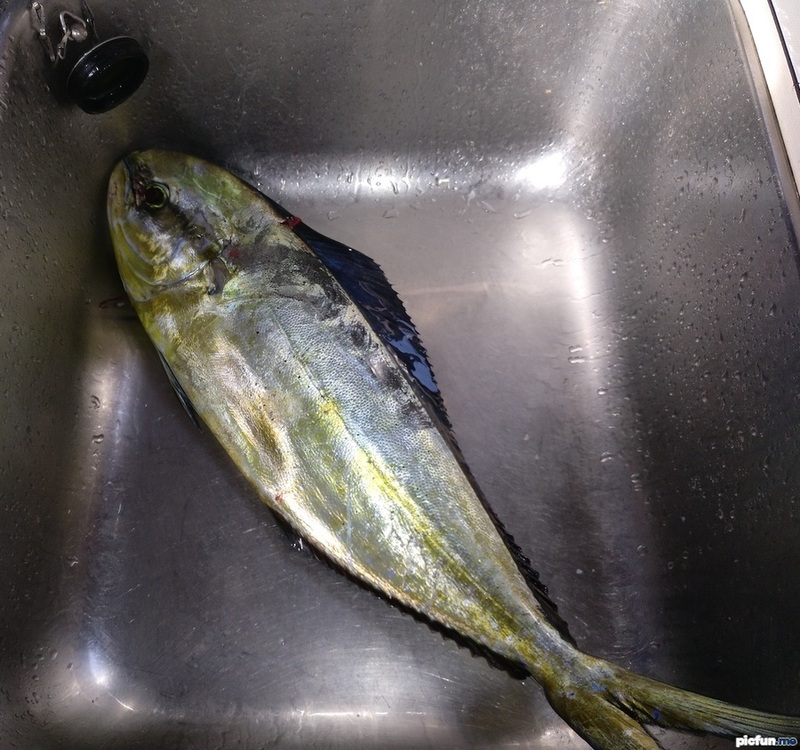 As mentioned in the previous post we caught 2 tunas while sailing towards Cape Verde. 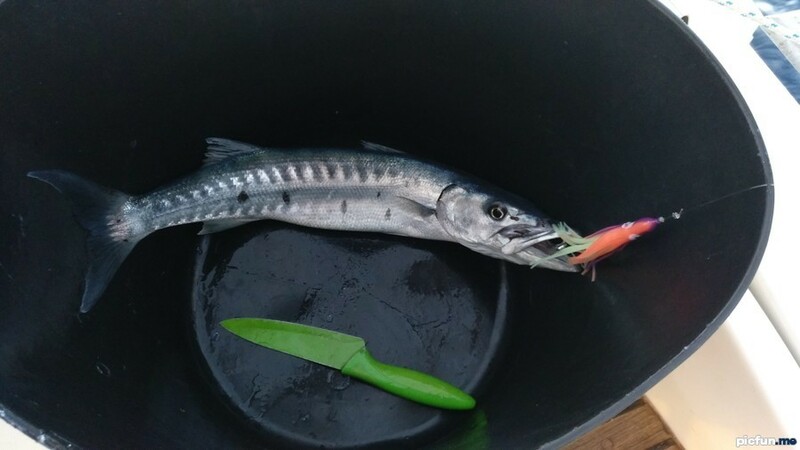 One with big octupus lure and another one with small Rapala Tiger. To be honest, it appears you don't need to have anything fancy to catch your food. 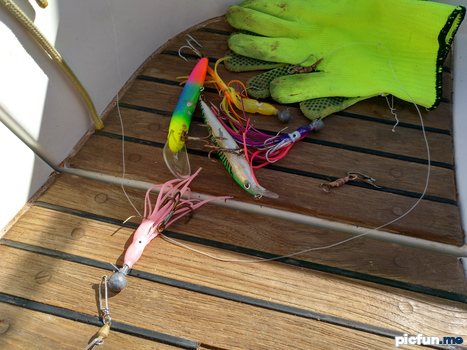 We have lost one trolling board, 2 big octupus lures, 6 small octupus lures with double hooks. Some of them because 0.07mm leash line was not strong enough or size 5/0 swivels which 32kg can wihthold were not strong enough. 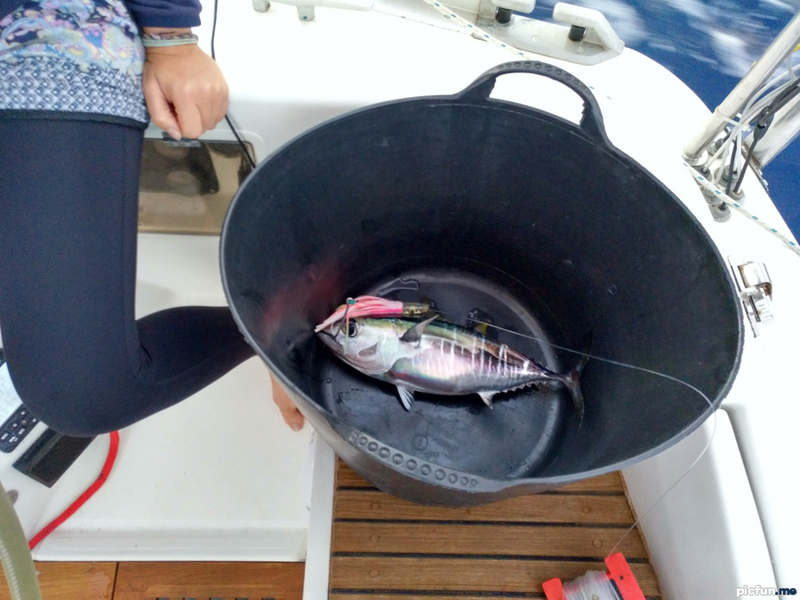 After a day of running down the wind in 7 knots a line on a rod can start chafing, so be careful. 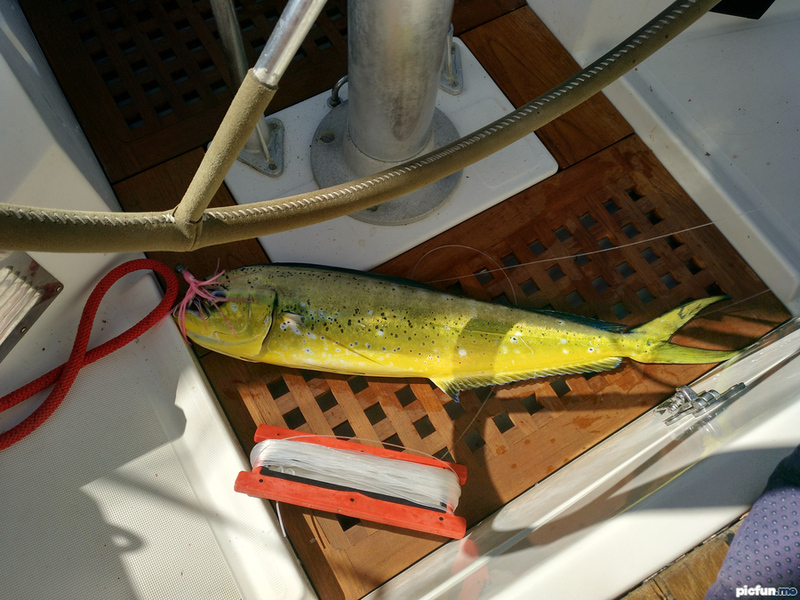 But Mahi-mahis are dumb and you can catch one (as one Argentinian friend told me) on simple cocktail straw with a hook.